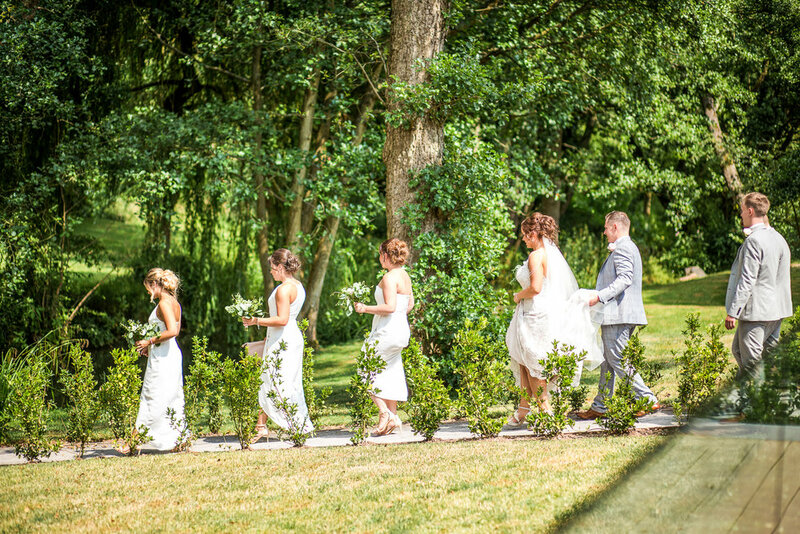 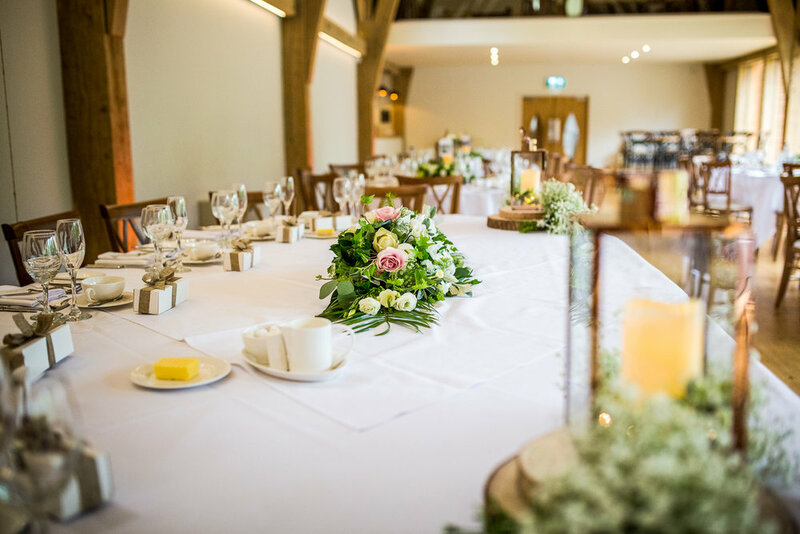 The Mill Barns Wedding Venue is an exclusive use wedding venue, located in Alveley in Shropshire, not far from Bridgnorth and Kidderminster. 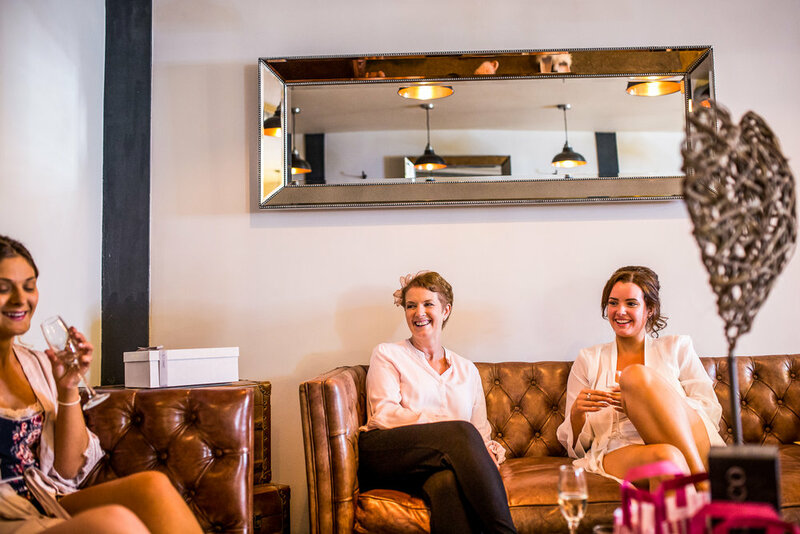 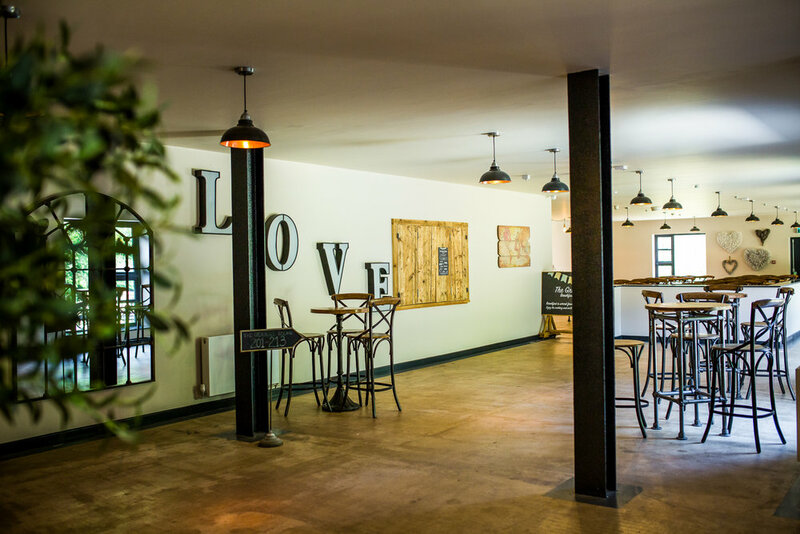 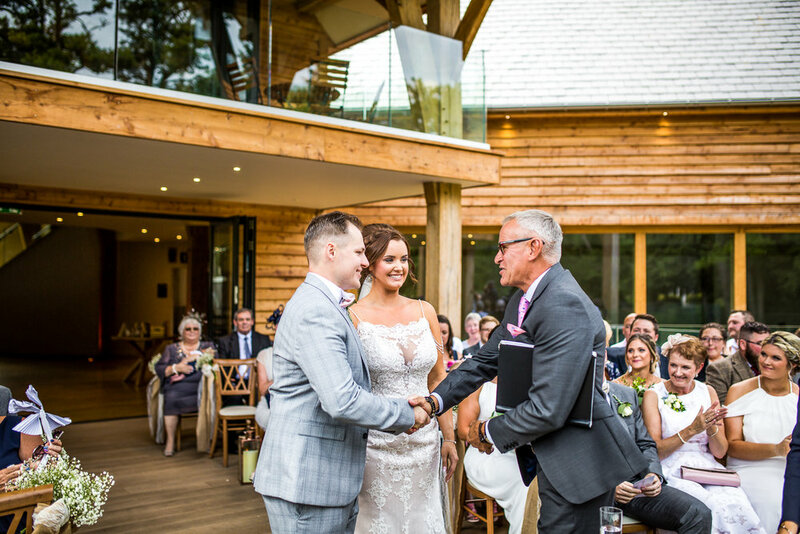 This purpose built wedding venue tastefully combines both rustic and contemporary styling and they can accommodate intimate outdoor ceremonies and lavish wedding receptions. 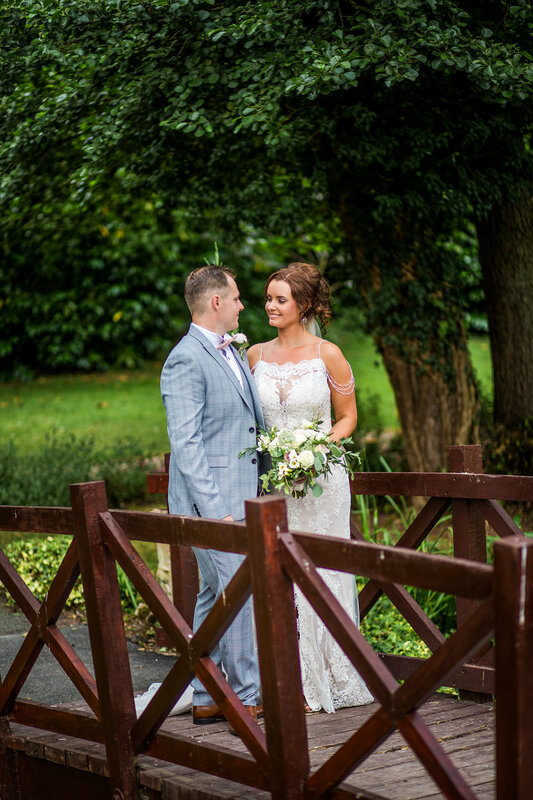 As you approach the venue from the driveway, it definitely has the ‘wow’ factor! 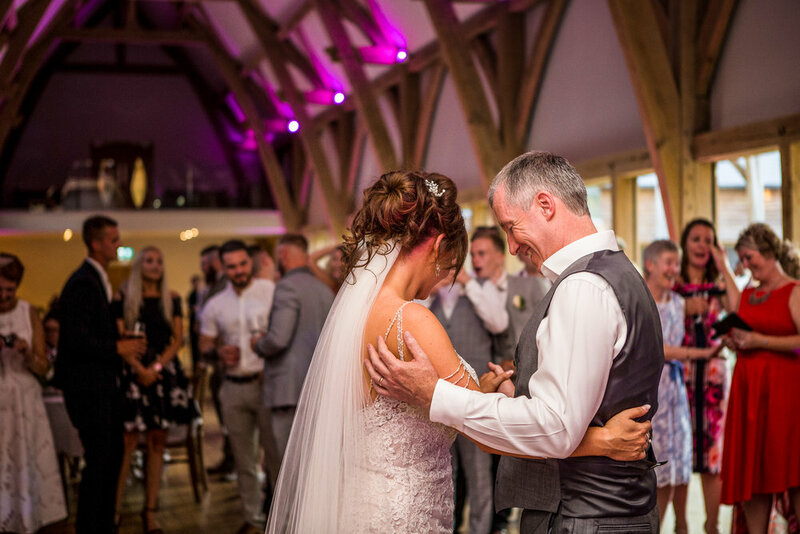 Designed and built by the Ensarb Estates team - Best Day Ever Venues -who are responsible for the highly successful wedding venues in the region, the Ashes Venue and Pendrell Hall, both being two of my favourite places to work! 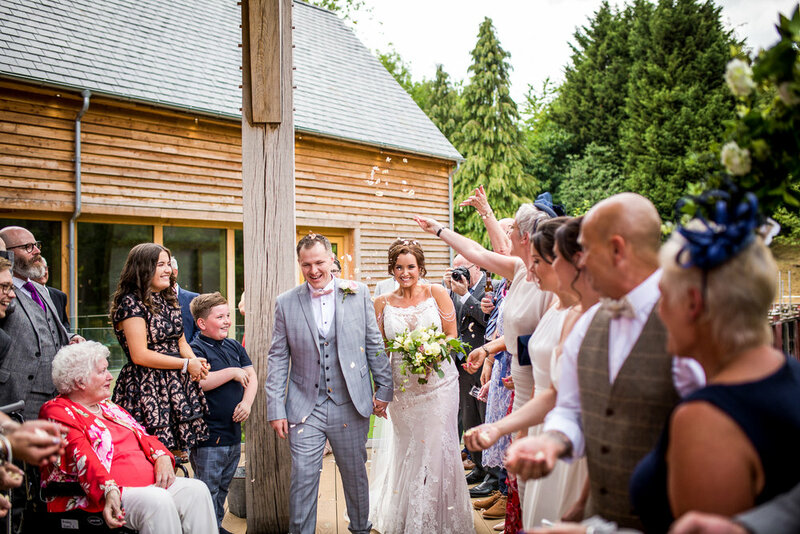 You certainly could not have wished for a more beautiful summers day amidst the best summer I can remember, I arrived early mid morning at The Mill Barns for the bride and her bridesmaids getting ready and stayed right through until after the first dance when the sun set beautifully on their perfect wedding day! 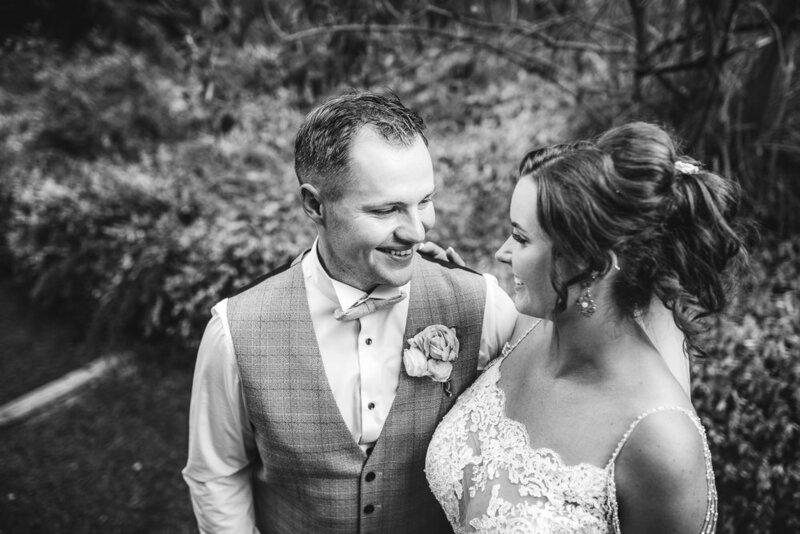 Emma and Andrew smiled and laughed all day, their happiness was infectious and I really enjoyed working with them throughout their day, which was organised to every last detail, but absolutely so relaxed. 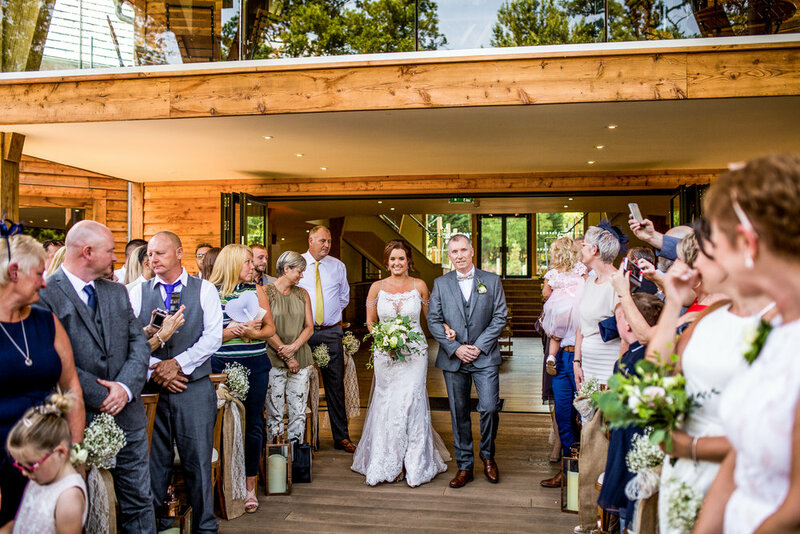 The deck area where the outdoor wedding ceremony took place has been perfectly positioned so that the sun does not flood the space with harsh light at the time the ceremony would be happening, just a small detail that shows how much thought has gone into creating the perfect wedding venue. 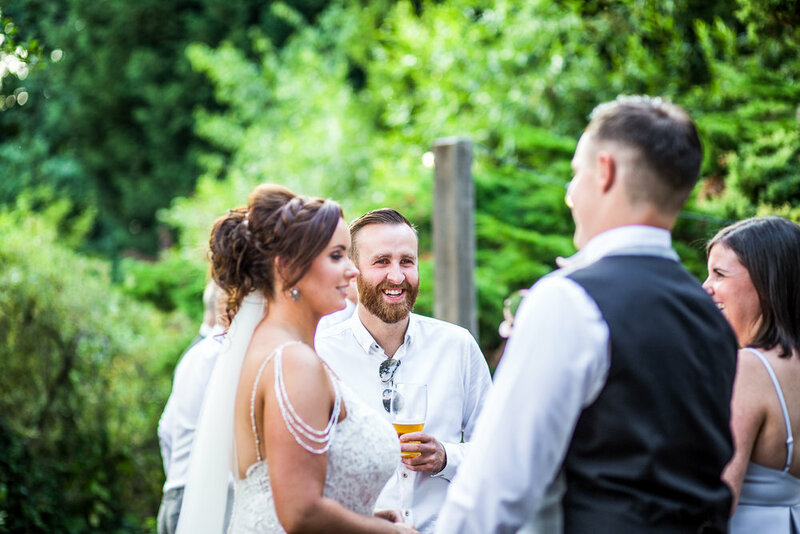 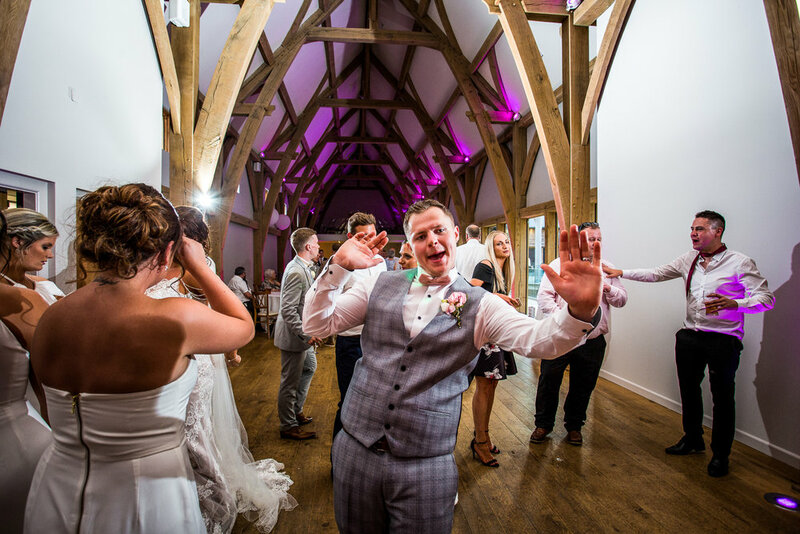 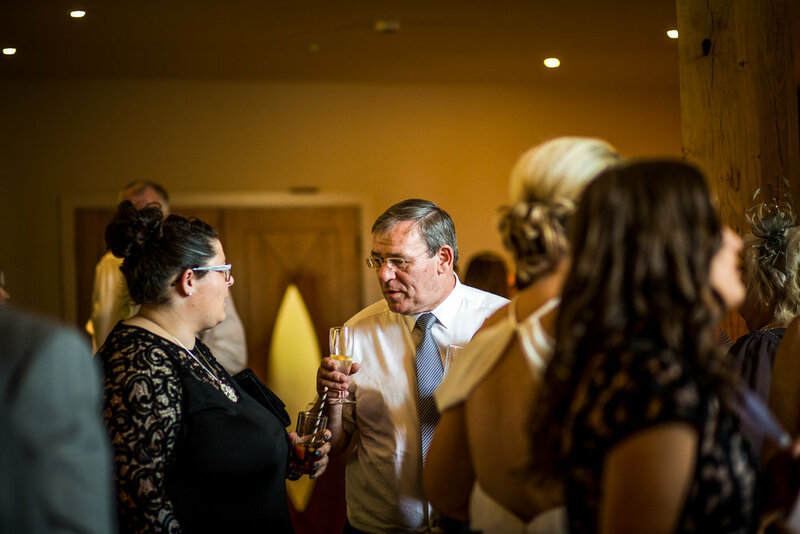 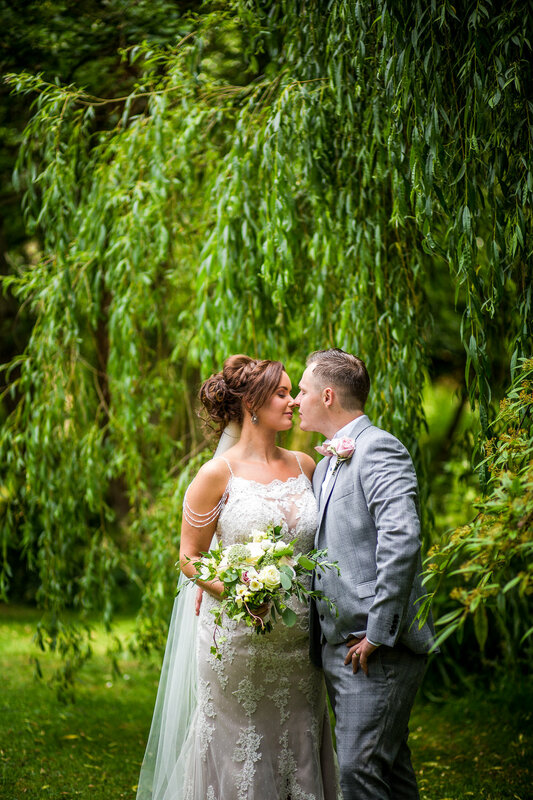 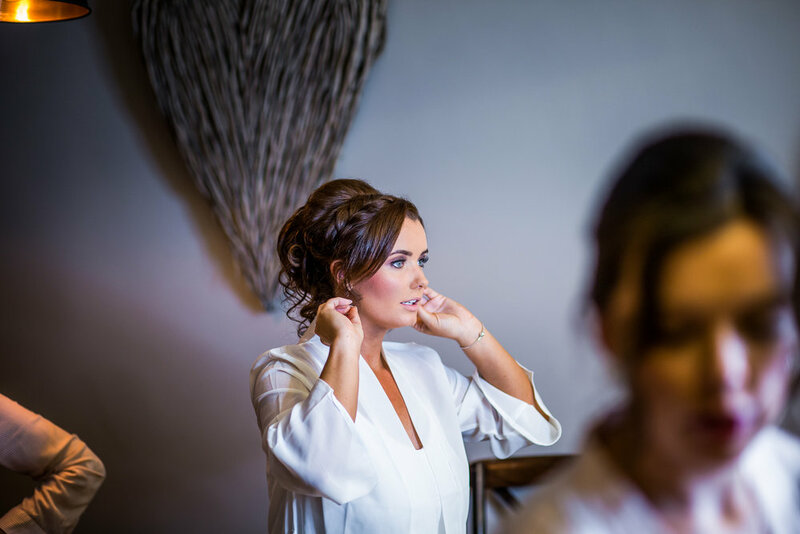 We chose The Mill Barns for our wedding venue because it is simply stunning and it has a beautiful modern barn feel to it. 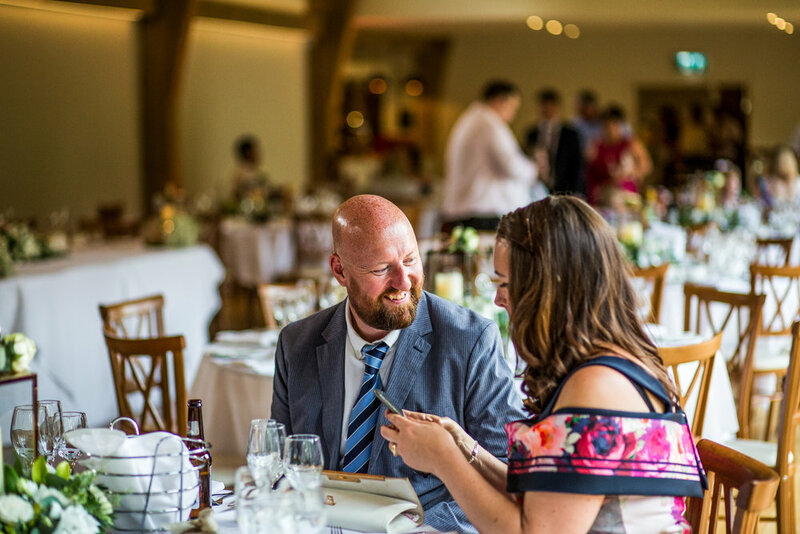 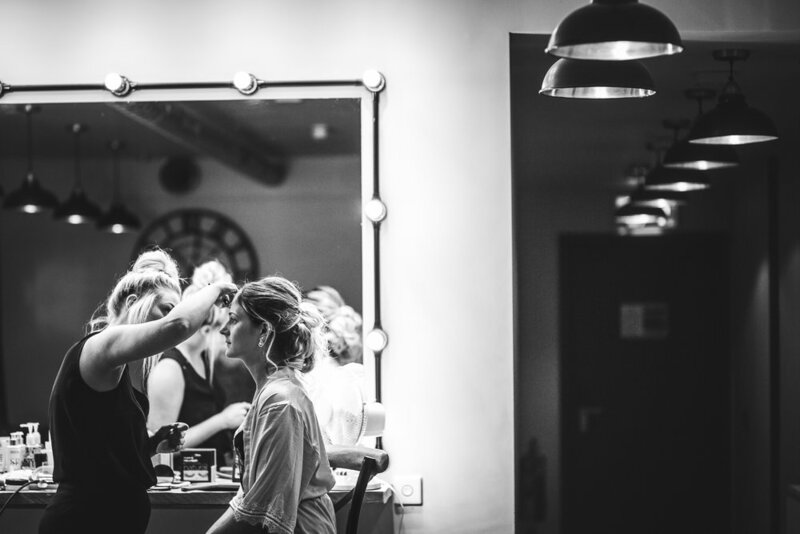 I knew from the moment we met at The Mill Barns a year before their wedding, that they both would be so much fun to work with. 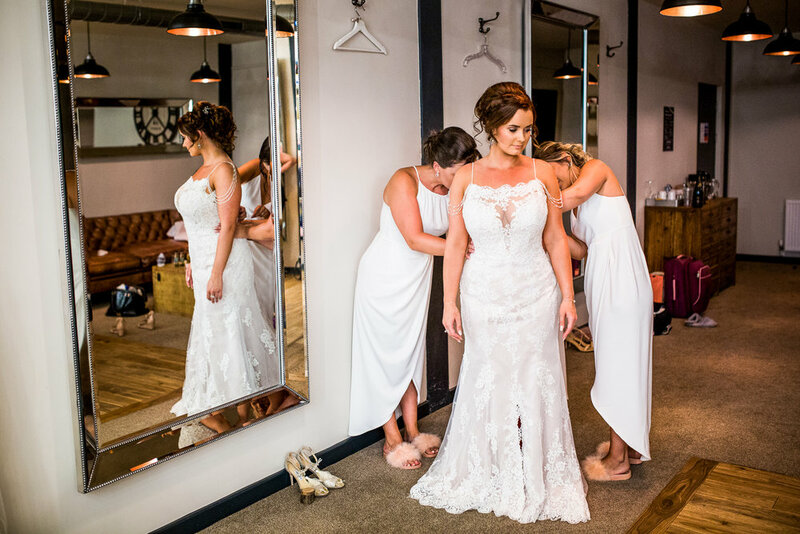 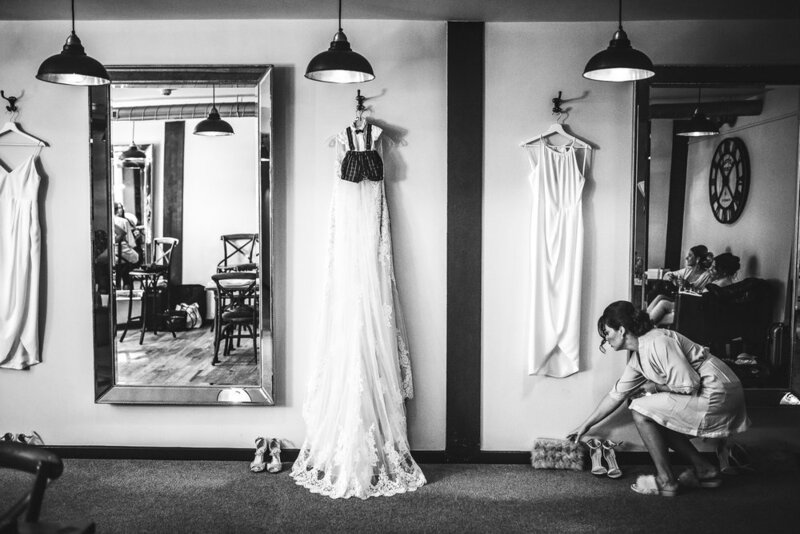 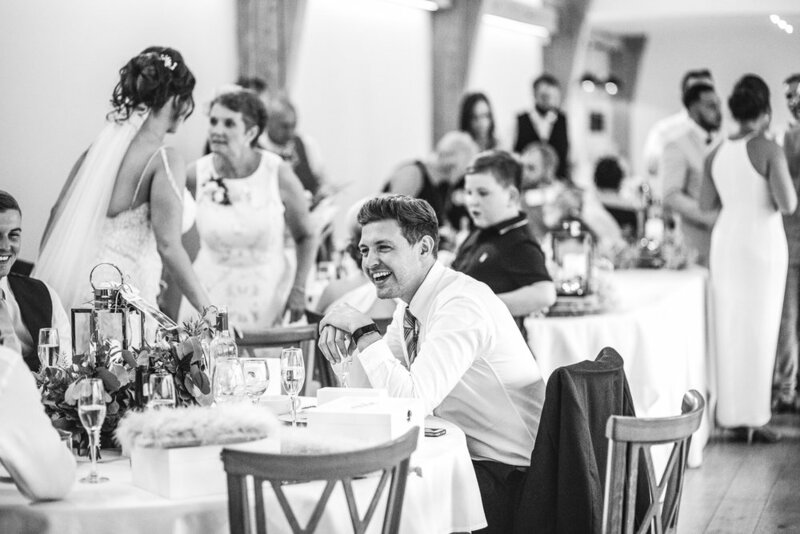 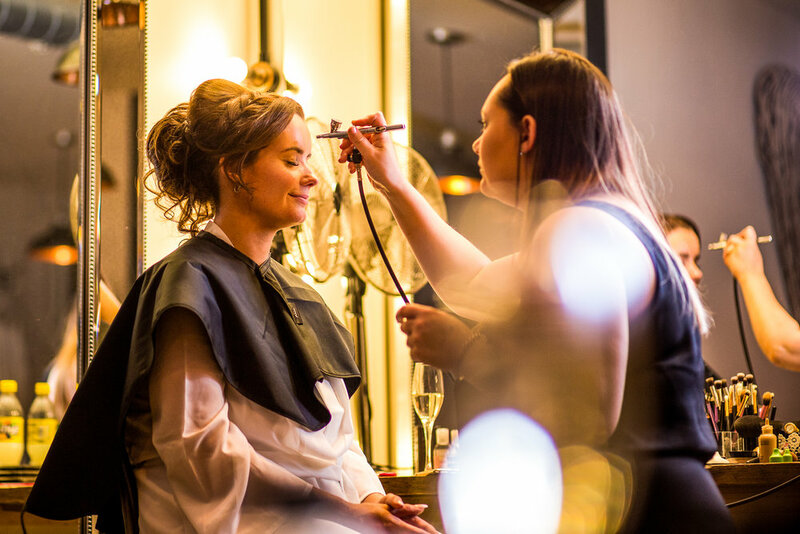 All the things that they had down as important to them, are the things that I relate to as being important to me, such as being surrounded by closest family and friends and making some amazing wedding day memories. 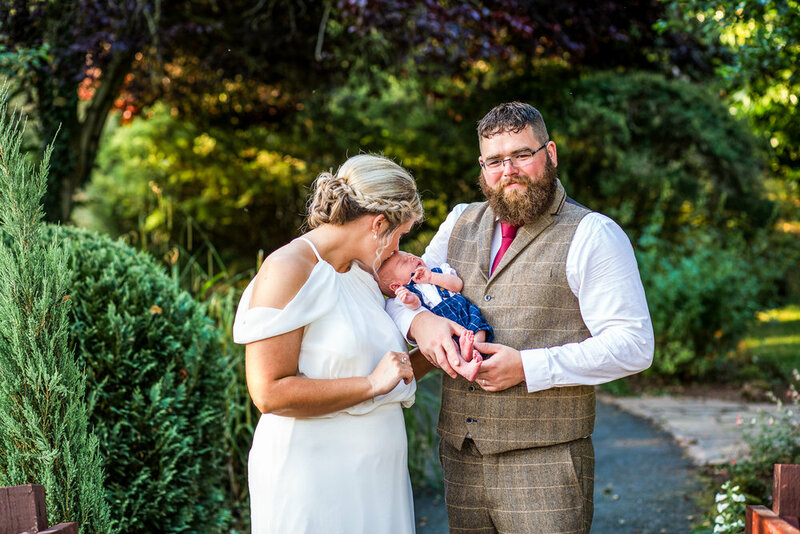 I love that Emma and Andrew’s nephew arrived early just so that he could enjoy the day too! 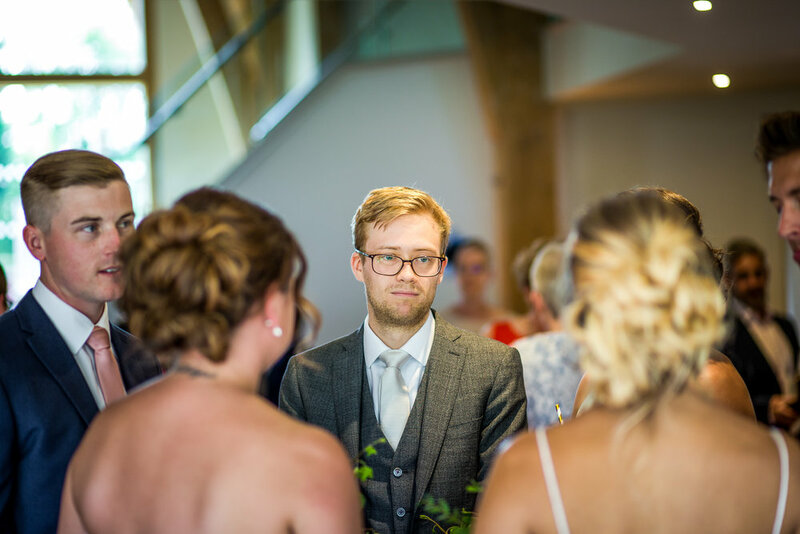 He inevitably featured in quite a few of the photographs and seemed to be very chilled out at his first wedding and loved being surrounded by lots of adoring ladies! 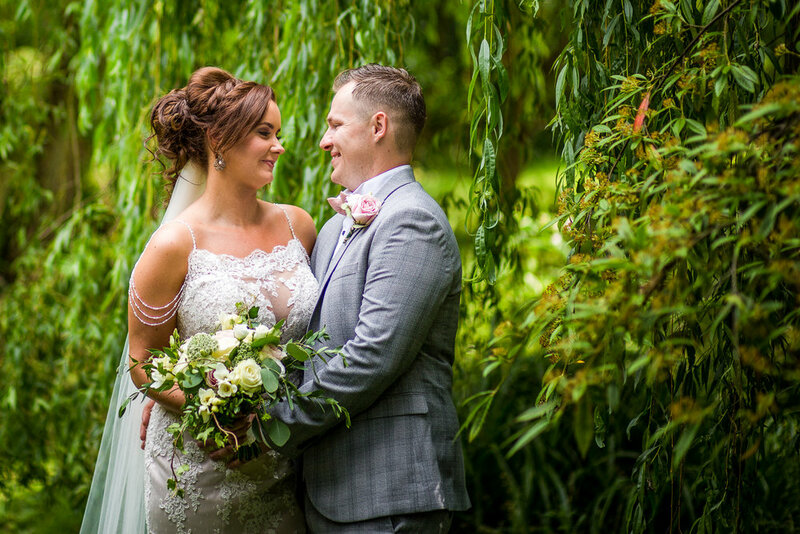 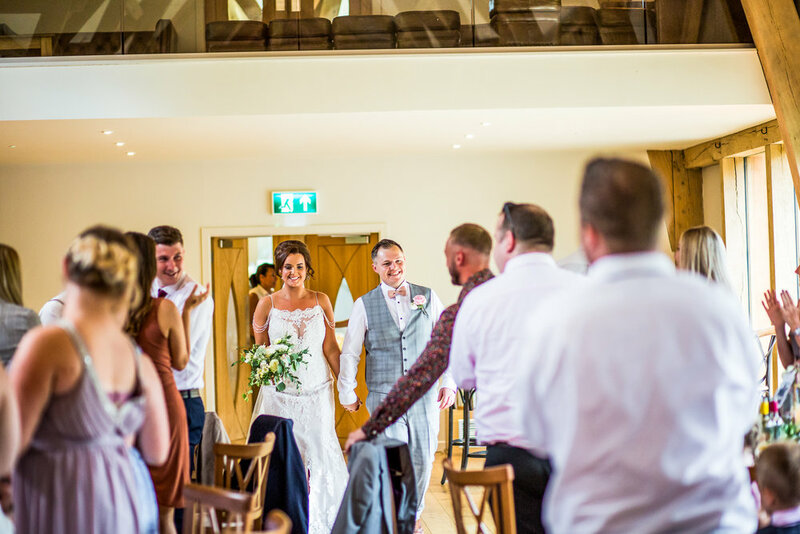 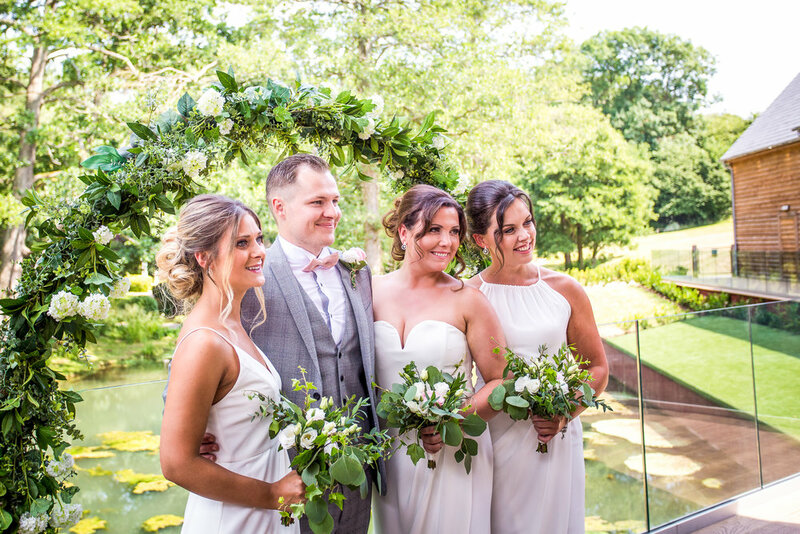 Here are a selection of Emma and Andrew’s wedding at The Mill Barns, If you are planning your 2021 wedding, it would be advisable to make an enquiry now as I know their weekend dates are booking up super fast! 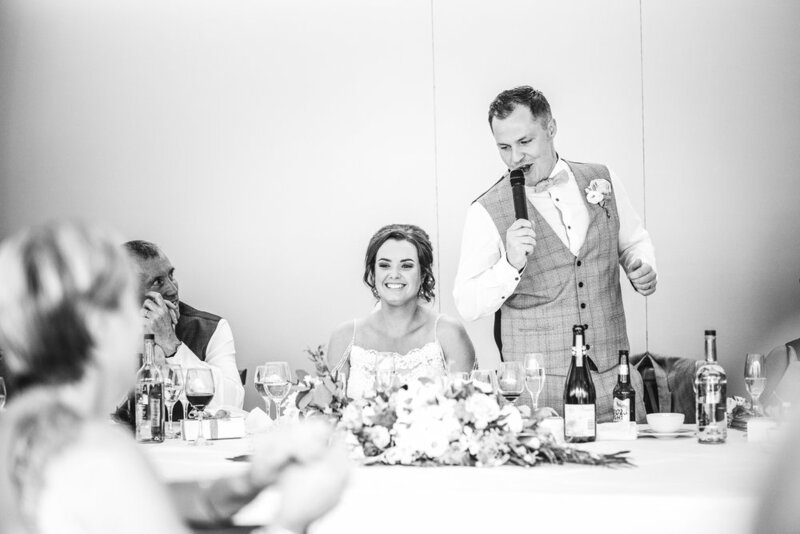 I am also booking for 2021 and will look forward to chatting to you about your photography! 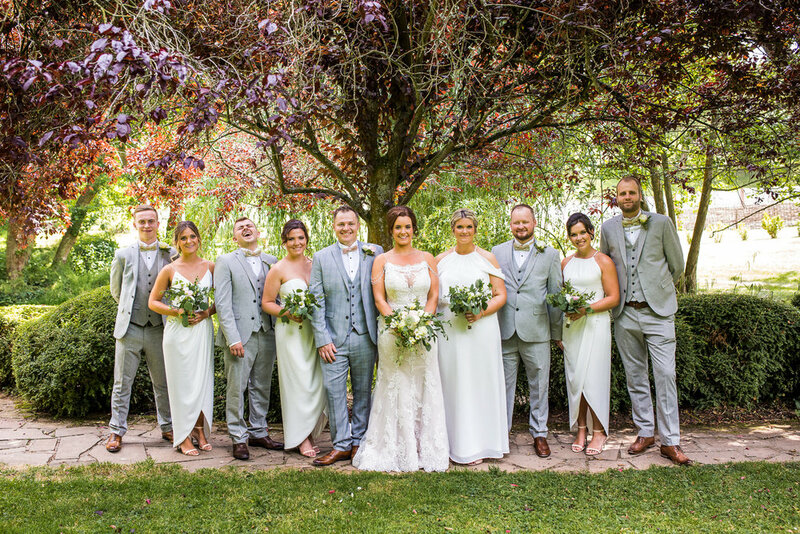 Here are some of the wedding vendors and designers that made Emma and Andrew’s wedding day soooo lovely and beautiful!